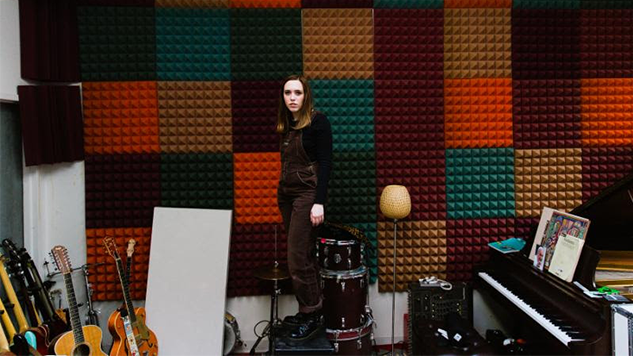 Soccer Mommy Releases "Blossom" Demo, Physical-Only B-Side "Be Seeing You"
In anticipation of her current headlining tour and her upcoming support tour with Kacey Musgraves, Sophie Allison, aka Soccer Mommy, shared the demo for “Blossom” and the b-side “Be Seeing You” on Thursday. The latter was previously only available physically as a b-side to her “Last Girl” 7-inch on Bandcamp. Both songs bring the tender intimacy we’ve come to associate with the Nashville native, like a love note pressed between the pages of a book. The demo of “Blossom” brings a more lo-fi sound than the iteration heard on Soccer Mommy’s acclaimed debut album Clean. Allison fills space with her omnipresent chorus of “oohs” versus the sharp clarity of the instrumentation in the album version. Listen to the “Blossom” demo and “Be Seeing You” below, and be sure to watch Soccer Mommy’s 2018 Paste Studio session as well. Check out the single art and Allison’s upcoming tour dates, as well.